How NORML is fighting for your cannabis rights more than ever. The National Organization for the Reform of Marijuana Laws (NORML) is the oldest cannabis reform organization in America. NORML has worked at the grass roots level to support virtually every cannabis reform effort in the nation, and internationally, since being founded by Keith Stroup in 1970. Today NORML is comprised of over 150 local chapters, made up of some of the hardest working cannabis activists on the planet. One of Green Flower's team members, Johnny Green, is a proud member of the Portland NORML chapter, located in Portland, Oregon. 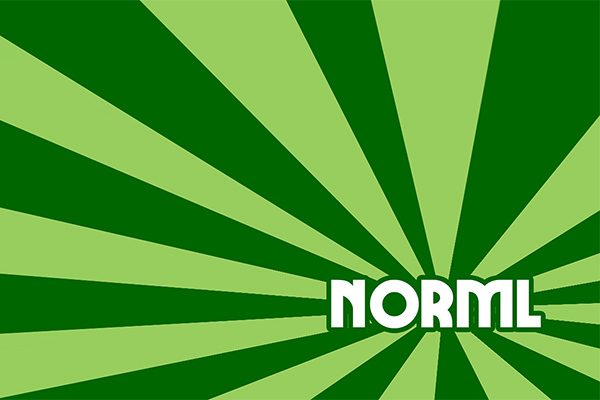 How is NORML different than other organizations? Arguably the factor that most distinguishes NORML from other cannabis reform organizations is its focus on the individual consumer. "Our focus reverts back to the individual, and that's one of the ways NORML is set apart." said Paul Armentano, Deputy Director of NORML. Most other cannabis organizations focus on a regulated industry, and creating an environment that allows the emerging cannabis industry to operate and thrive. Other organizations are run by a 'top down' model. NORML on the other hand is driven largely by its grassroots network of chapters and activists. "NORML defines itself as a consumer driven organization. Our focus at the end of the day is on the individual and how do we have laws and regulations with regard to cannabis that best serve the needs of the individual consumer, whether those needs are freedom from civil or criminal penalties, safe access to cannabis, the ability to obtain a product free from pesticides or mold and that's standardized to some degree, home cultivation, workplace laws, or child custody laws," Armentano said. "NORML fights to ensure that those sort of ancillary policies are shaped in a way that don't negatively discriminate against the consumer." NORML engages in more dialogue with mainstream media than any other cannabis law reform organization. More often than not, if it's a credible mainstream media article, a NORML member has been quoted in the piece. Messaging with mainstream media is vital to reform efforts because it helps shape public opinion. For a long time, mainstream media refused to cover cannabis from an objective standpoint. NORML has helped change this in a major way through their representatives speaking at many public forums including academic, political and legal forums, and most importantly, in places where there is no other pro-cannabis representation, such as in front of state bar associations. Other reform organizations may have a specific focus, but NORML is the only organization possessing such a dynamic reach. If a member of NORML is listed as a speaker on a panel, debate, or presentation, it brings instant credibility to the conversation because NORML is so well respected and reputable. NORML supports all efforts to reform cannabis laws that help push reform forward for cannabis consumers. This has been tough during recent election years, including this year's election, due to concerns from the cannabis community about the provisions of some initiatives. "I think one of the things that gets lost, particularly in the more recent debates, is when people analyze or assess these pending policies and initiatives, people are missing that these sort of campaigns or proposals represent a starting point, not an end point," Paul Armentano said. "These policies, from the way we as a society address marijuana, how it's consumed to how it's market is regulated, are going to be an ongoing evolutionary process. They are no doubt going to change over time." An example of what Paul is talking about is the implementation of Measure 91 in Oregon. If someone looked at the exact initiative language passed by voters in 2014, and the Oregon Legislature's implemented version, there are many changes. There are going to be bumps along the way and lessons learned. It's a process that is likely to go on for a long time because after all, there is no playbook for changing the course of history. As Paul Armentano points out, the alcohol industry still has changes going on with regard to how we as a society address alcohol use and sales. Cannabis will be similar in a lot of ways. Victory on election day is the first of many steps in our long journey. "There is a need for reasonable and rational discussions in an environment where cannabis is no longer criminalized or stigmatized. We have to get past that hurdle first. It's important that we look at this as an ongoing process," Armentano said. How does NORML fit into today's cannabis world? Members of NORML are always quick to point out that there is more work to be done, and no one should count their eggs before they have hatched, as there will always be a role for NORML as long as people are consuming cannabis because NORML fights on behalf of cannabis consumers. NORML's role will not diminish as reform victories continue to spread across America. If anything, there will be an even greater need for NORML. "Groups like the NAACP did not disband after Congress passed the Civil Rights Act. In fact, their workload became greater. It's the same with cannabis law reform," said Armentano. How can NORML help cannabis consumers? 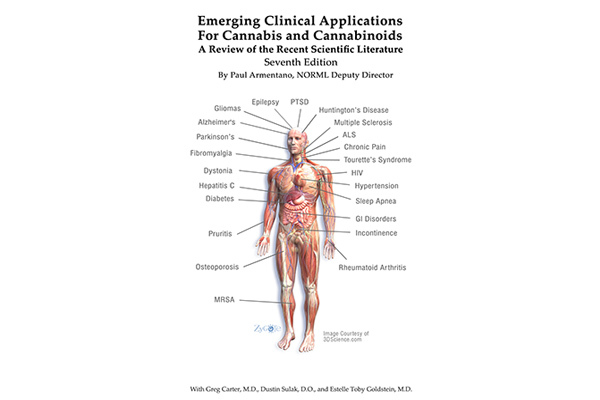 NORML's catalogue of relevant cannabis science is particularly useful. NORML provides unparalleled tools to help cannabis consumers become educated on the topic of cannabis, and how to help reform cannabis laws wherever they may live in the United States and many countries abroad. Cannabis reform involves 'educating the citizenry' as Paul Armentano says, and no organization does a better job of that than NORML. NORML's website has more pages of solid cannabis information than any other place on the internet. It's the closest thing to the 'Library of Alexandria' for the cannabis world that exists. In addition to their website, NORML also puts out various publications. A booklet that NORML puts out has been used at Oaksterdam University for years as part of their required curriculum. Oaksterdam is America's oldest cannabis university. NORML has tools for tracking cannabis reform measures at all levels of government, and their tools include platforms that make it easy to engage with policymakers. That's extremely important for reform efforts, because getting dialogues going with policymakers is a major part of reforming cannabis laws. NORML's catalogue of relevant cannabis science is particularly useful. Cannabis consumers, especially if they use NORML's tools and information, are usually more knowledgeable than their elected officials. An educated constituent can do a lot to educate policymakers and get them on the right side of history. NORML recently put out a Congressional Report Card to help cannabis consumers get educated on which candidates support cannabis reform, and equally important, which candidates do not. One of the first steps to reforming cannabis laws is knowing what those laws are. NORML has the best cannabis law database on the internet. NORML even created a tool that helps people determine impairment to help avoid driving under the influence of cannabis. How can people join NORML? NORML has chapters all over the country. If there isn't a NORML chapter in your area, starting a chapter is a great idea, and not hard to do. It takes the work of many, many people to reform cannabis laws in America. This is particularly true in conservative parts of the country. NORML is a grassroots organization. Unlike many other organizations, NORML's fees to join are very low. People don't join NORML for the financial benefits, they join because they want to be part of something bigger. There is power in numbers, and joining or starting a NORML chapter can be a tremendously rewarding experience. These are truly historic times, and NORML is at the forefront of history being made. We here at Green Flower fully support NORML's endeavors, and look forward to continuing to collaborate in the future. The cannabis community has to play a role in its own liberalization. We encourage you to donate to the organization (NORML) that exists for the purpose of representing you! How Does Cannabis Affect A Person's Dreams?